Don't walk under a ladder. Don't break a mirror. And, for the love of gravy, avoid black cats at all costs. Today is Friday the 13th, a day to avoid anything and everything that might be considered unlucky. The date's bad-luck reputation stretches back centuries, but it really hit the masses in 1980 when the first "Friday the 13th" horror movie arrived in theaters. The film wasn't favorite of critics, but horror fans ate it up. The flick was a kind of cash-in response to the similarly plotted "Halloween," which had come out a few years before. But over the years, thanks to sequels, reboots, crossovers, and more, Jason the hockey-mask-wearing killer, has become the stuff of legend. 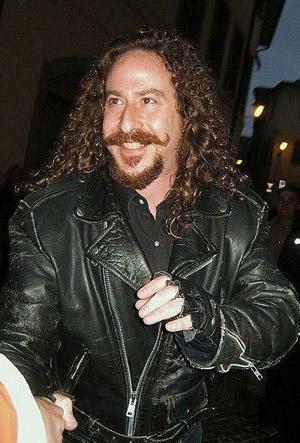 In honor of Friday the 13th (which happens about three times every year), we thought it high time to shine a spotlight on Ari Lehman, the little-known actor who played Jason Voorhees in the first film. Lehman has only a tiny role at the end of the film, but what he lacked in screen time, he more than made up for in terror. 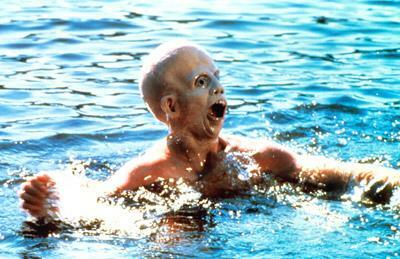 His scene is among the most famous in slasher-flick history. The band performs in punk/metal clubs, film festivals, and horror conventions across the country. No word on whether Lehman wears a hockey mask onstage.